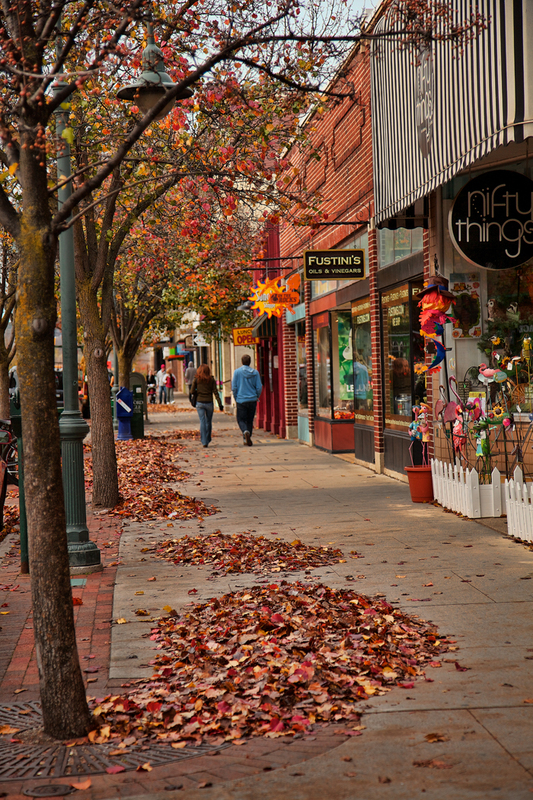 Fall in Traverse City, Michigan along Front Street. In this photo, Spice Merchants, Nifty Things and Fustini’s, all of which are great places to shop. Spice Merchants has hundreds of different spices, teas, and more and as a person who loves to cook and eat, to me it’s a must stop destination while in Traverse City. Fustini’s Oils and Vinegars was also amazing and provided the opportunity for us to try many different types of oils and vinaigrettes including pineapple balsamic, ginger and honey, and many others. Check out more of my photos from Traverse City and other areas in northern Michigan. 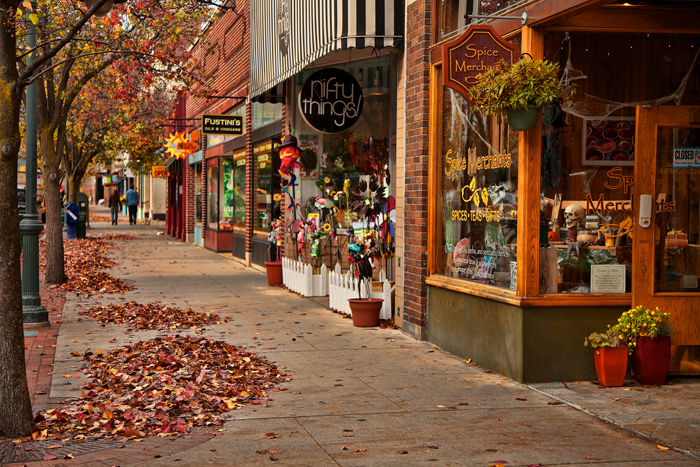 Traverse City, Michigan in the Fall along Front Street by Joey B. Lax-Salinas is licensed under a Creative Commons Attribution-NonCommercial-NoDerivs 3.0 Unported License. Permissions beyond the scope of this license may be available at http://www.joeyblsphotography.com.